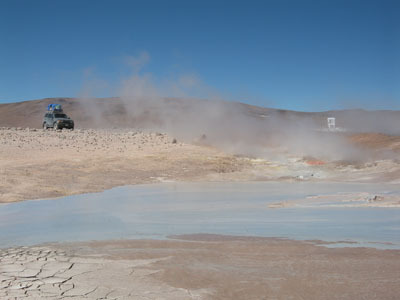 With its brightly coloured lagoons, volcano and the highest mountains on the Bolivian border with Chile and Argentina, it's unsurprising that Eduardo Avaroa is the most visited national park in the country. 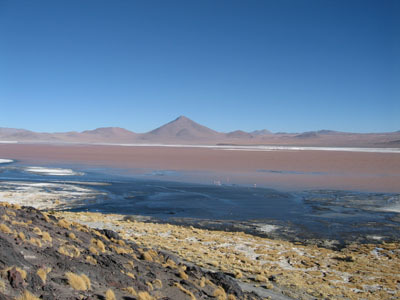 The largest of the three coloured lagoons is the 6km wide Laguna Colorado. Algae growing in the water dye it a vivid blood red, which is contrasted with bone white islands made of the mineral borax. 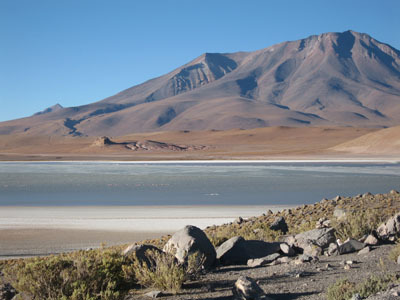 Owing to the Laguna Colorado's height above sea level (4,278m) and the surrounding landscape of salt, very little wildlife can be found here for most of the year. In Novemeber, however, flocks of three different species of flamingo make it their home for the breeding season. 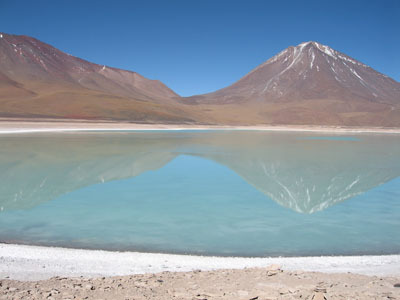 Amongst the smaller lagoons are the green Laguna Verde and sky blue Laguna Celeste. Both derive their colour from various copper mineral deposits in the water, which makes them beautiful but not ideal for swimming in. 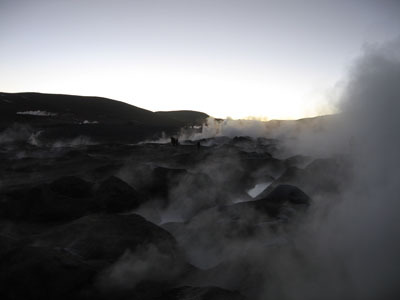 The Laguna Verde is situated at the foot of the spectacularly symmetrical Licancabur volcano and a short distance from natural hot springs. The park itself attracts some 40,000 visitors a year. 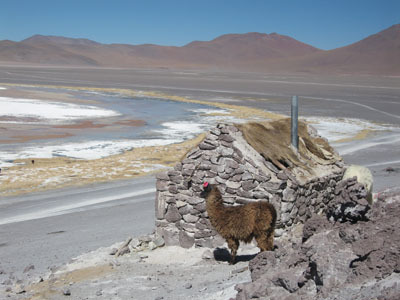 Its non-human population includes 23 species of mammal, a range that covers the rabbt-like vizcacha, Andean foxes and pumas. Look out for Andean condors, yareta and keñua too, just some of the many endangered species which enjoy protected status in the park. For the best chance of seeing rare wildlife, head to the Laguna Colorado National Wildlife Sanctuary, an area of the park established in 2001, following the expansion of the park's borders. This area boasts over 80 species of bird and more than 190 species of plant and tree. 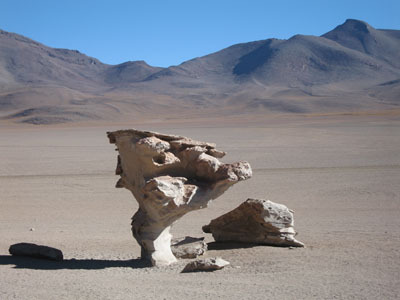 Für Information über Touren in den Salar de Uyuni und das sich südlich anschließende Eduardo Avaroa Naturreservat, bitte klicke hier.